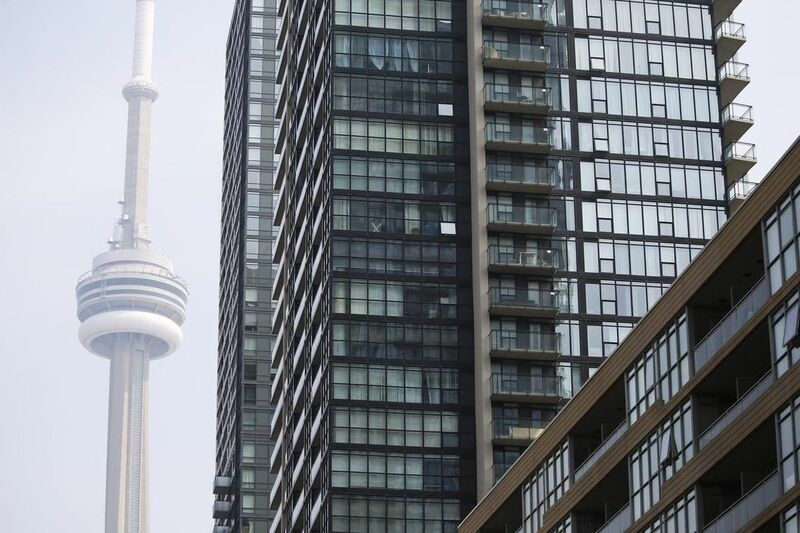 Finding a condo to rent in Toronto is tough enough -- paying for it has just gotten a lot harder. Average monthly rents in Canada’s biggest city surged 10.7 percent in the first quarter from a year earlier to C$2,206 ($1,751), according to Urbanation Inc. That’s the second-biggest increase since the firm started tracking the data in 2010, surpassed only by the 11.5 percent jump in the third quarter of last year. Part of the reason is simple supply and demand: Workers are flowing to Toronto for its booming tech and financial-services industries and competing for a scarcity of available units. At the same time, stricter mortgage-lending regulations and escalating condo prices are pushing potential buyers out of the purchase market and into rentals. The average annual income required to buy an average-priced resale condo in the Toronto region is now C$100,000, up from C$77,000 a year earlier, according to Urbanation. The number of units rented in the quarter fell 12 percent from a year earlier due to the low supply, the firm said, with newly completed condos available to rent out dropping to 1,945, the lowest level in more than eight years. “The situation should improve at least somewhat starting in the second half of the year as more condo projects under construction reach completion and buyers begin to adjust to the new mortgage rules,” Shaun Hildebrand, a senior vice president at Urbanation, said in a statement. Leasing costs at properties purpose-built as rentals also jumped, climbing 16 percent from a year earlier for buildings completed since 2005, the biggest increase since Urbanation started tracking the apartment segment in 2015. While the stock of apartments the firm tracks is small compared with condos, their rents are catching up, according to Hildebrand.